Over the years I've gained a lot of performance experience and have been lucky enough to play with a variety of ensembles. I have played the clarinet and saxophone in wind bands, orchestras and big bands, but I have also played in smaller ensembles such as saxophone quartets and clarinet trios/quartets. Some of the most enjoyable performance work I have done is playing in pit bands for amateur dramatic productions and playing the alto saxophone in a function band. While studying at the University of Chichester I gained a lot of experience as a solo clarinettist and enjoyed the performance opportunities. In March 2016 I performed Weber's Clarinet Concerto No. 1 with the Portsmouth Philharmonia. The concert was in aid of the RNLI, a charity that my dad was a huge supporter of, and we raised a total of £597.57. I am a member of the Auster Quartet which is primarily a saxophone quartet, but all of us play other reed instruments. We are based in the South of England and have performed at a variety of concerts and functions such as weddings. 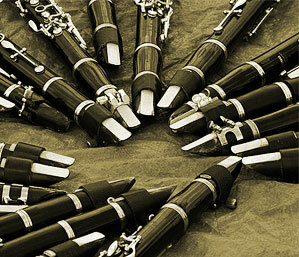 I am also Principal Clarinet in the Portsmouth Philharmonia, a local amateur orchestra.